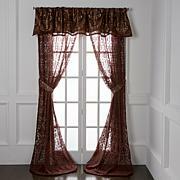 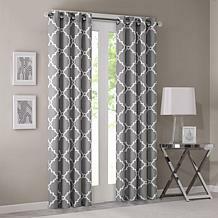 Madison Park Serene Embroidered Valance - Red - 50"x18"
Madison Park Saratoga Fretwork Valance - Grey - 50" x 18"
For a casual and stylish update, our Madison Park Saratoga Fret Print Window Valance is the perfect addition to any decor. 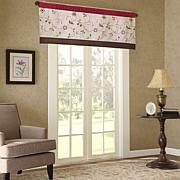 This valance features a trendy soft beige fretwork on a light grey ground, creating a simple yet modern look. 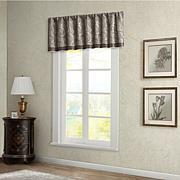 The cotton blend basket weave fabric softly filters the perfect amount of sunlight into your home, while providing texture for natural appeal. 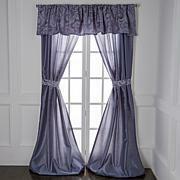 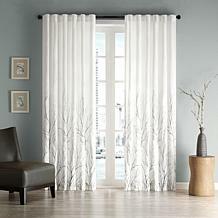 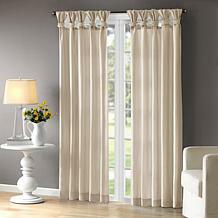 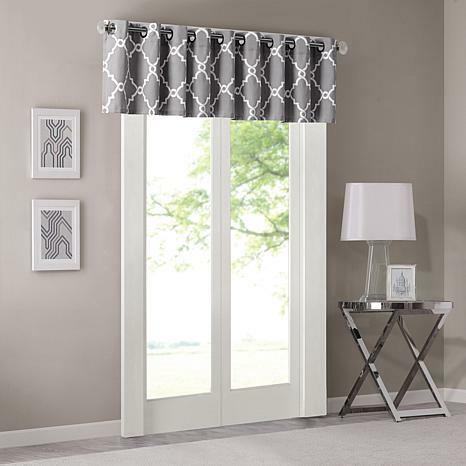 Silver grommet top detail makes this panel easy to hang, open, and close throughout the day. Fits up to a 1.25" diameter rod.